Started in 1975 by Rodney and Larry Bradham, Bradham Brothers Inc is well known for providing quality service at a reasonable price. They initially built their company by getting referrals from their family and friends, and have since built relationships that are based on their quality workmanship, excellent customer service and pride in the jobs they complete. With a strong work ethic, Bradham Brothers works hard to make sure their customers feel valued, so they offer a 100% satisfaction guarantee for the work they provide. 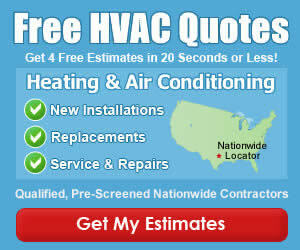 Reasonable costs, quality service and friendly employees have made them one of the leading HVAC contractors in the Charlotte NC area. Have you Used Bradham Brothers for Service at Your Home? If so, please rate the company and leave a review below. I’ve used Bradham Brothers quite a few times and have been happy every time. Quality service and great people.